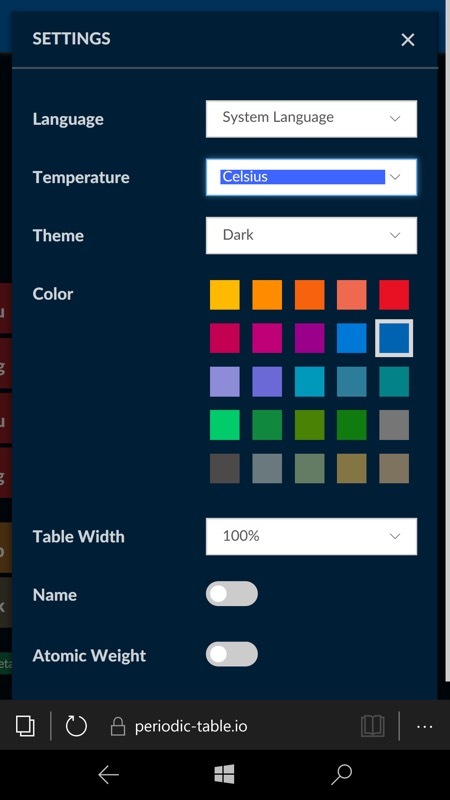 Back in 2015, Elements UWP proved a hit under Windows 10 Mobile, but the data behind this is now all online and available as a Progressive Web Application (PWA). So no installs, no ads, just the data you need, albeit needing a data connection. It's beautifully programmed anyway, and well worth trying out. 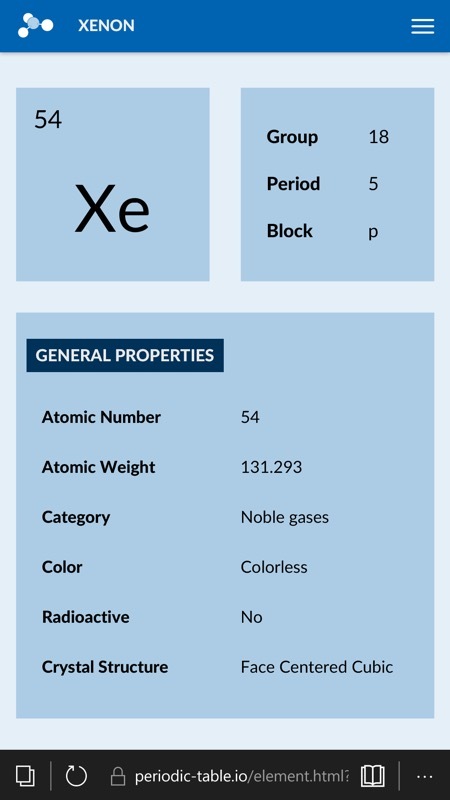 Elements: The Periodic Table is a Progressive Web App (PWA) and provides comprehensive and useful information about the chemical elements all in one place. 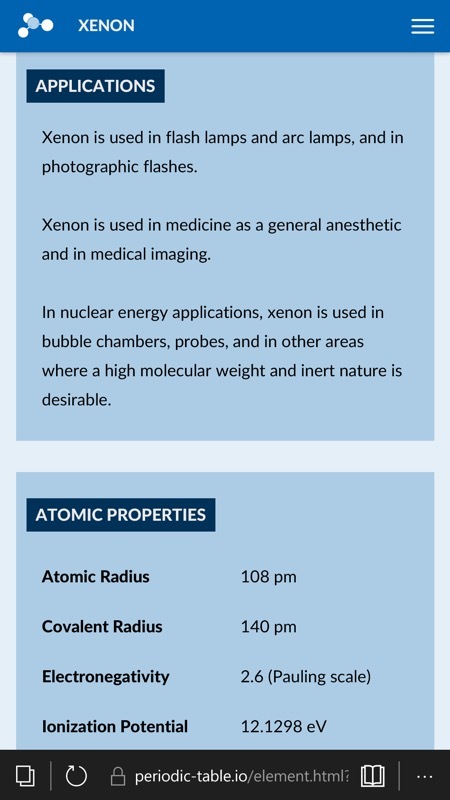 Know more about the properties, history, name origin, images, applications, hazards and electron shell diagram of each element. 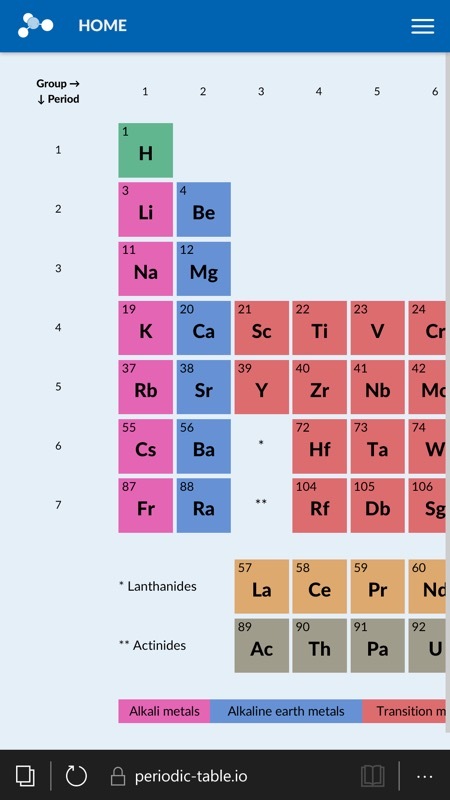 The URL to tap on or type in is periodic-table.io . 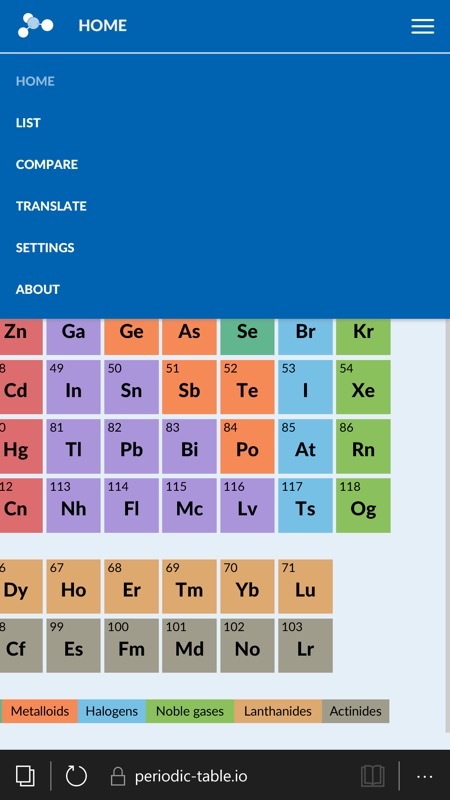 Much as with the older UWP app, there's a colourful and scrollable periodic table. 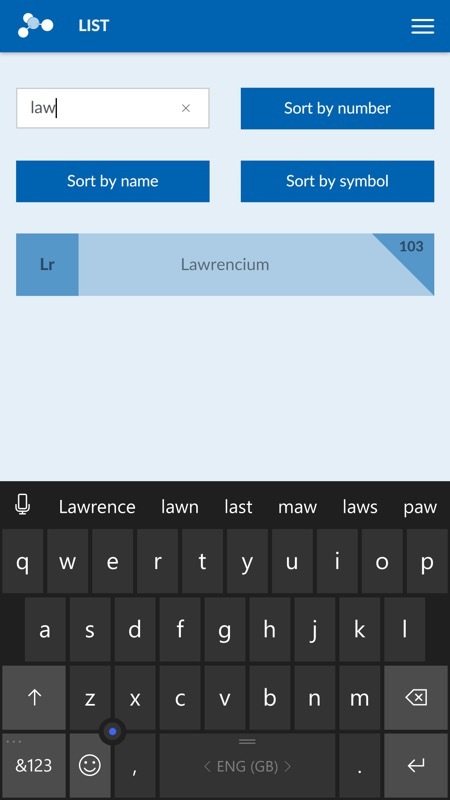 Tap any element to see full details in a vertically scrolling card list. The hamburger menu is quick and clear and (right) I found a dark theme in Settings... Woohoo! 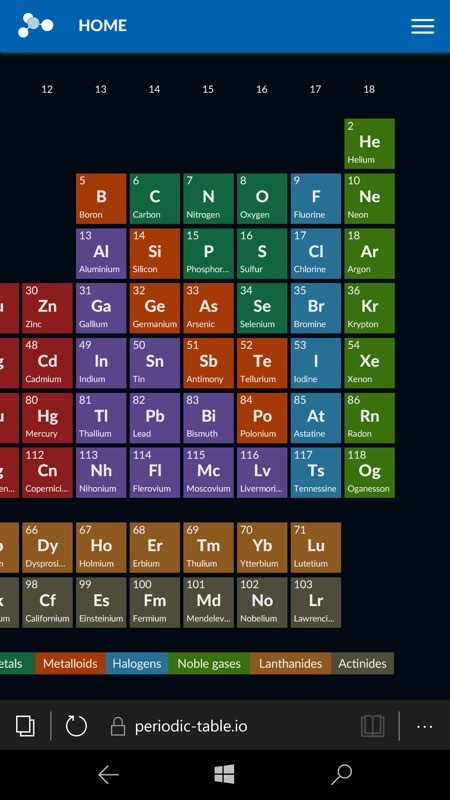 The main periodic table now in dark mode. 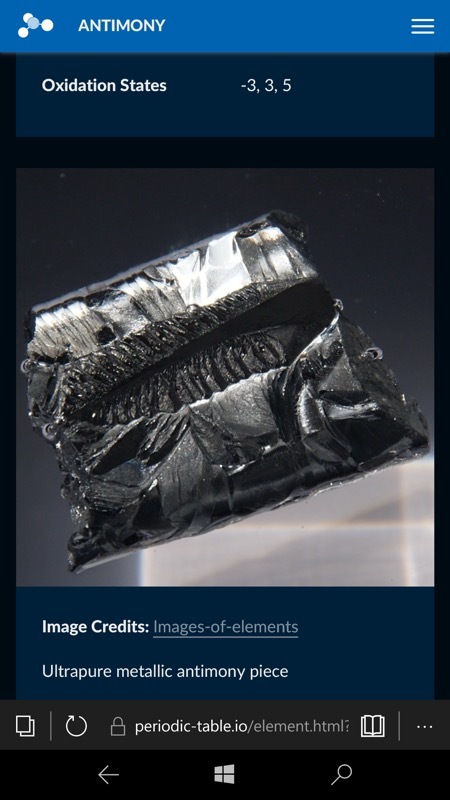 And remember, this is all in Edge, and with your settings saved for the next time you hit up this favourite; (right) each element's cards also include a photograph - these are always interesting and make Elements less theory and more practical!